We’re about 10 years into Brooklyn’s real-estate boom, and as you can tell by the ridiculously high rents that continue to push people to cheaper boroughs (or into three-bedroom apartments with six people in Williamsburg), it’s probably here to stay. Still, that doesn’t mean there’s absolutely nowhere in the entire borough to find an affordable place to live. We spoke to several real estate agents at companies across the city to find the best neighborhoods in Brooklyn that are: 1) a quick commute into the city, and 2) offer one-bedroom apartments that won’t completely undo your budget. 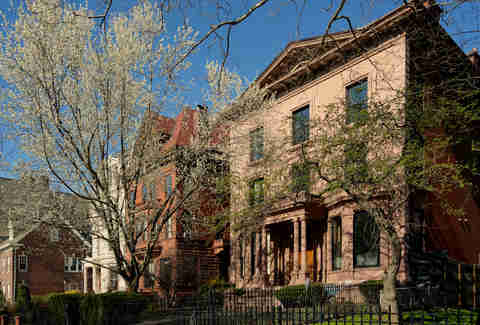 Locals still consider Prospect-Lefferts Gardens a well-kept Brooklyn secret, largely because of its proximity to the park, but also because of its 800+ designated historic homes. The area is also incredibly diverse, home to a large population of Caribbean-Americans. “Located on the southeastern border of Prospect Park, Prospect-Lefferts Gardens offers a more affordable option for renters who have been priced out of Park Slope or Prospect Heights, but don’t want to lose proximity to green space,” says Lauren Riefflin, spokesperson for StreetEasy. Bar and restaurant scene: Prospect-Lefferts Gardens is not immune to the reclaimed, craft-style culture that has overtaken trendier parts of Brooklyn, especially when it comes to cocktail bars. Consider Erv’s on Beekman and Midwood Flats. If you want to add a little pizza fix to your industrial-chic evening, you can’t go wrong with Parkside (which is also a cocktail bar). Still a part of Brooklyn but seemingly another world away, Ditmas gives you that backyard-beer-on-a-summer-night vibe without forcing you to relocate to New Jersey or Connecticut. 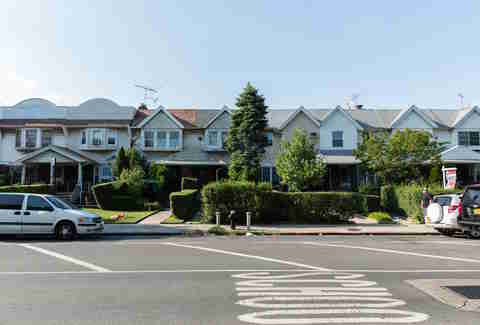 Massive Colonial Revival homes sprawl out on quarter-acre plots of land, with actual front yards and tree-lined streets. “This neighborhood has texture, a few bars and restaurants that are packed every night, really great coffee shops, and more. It’s a section that people don’t know about,” says Terry DiPaolo, a real estate agent with Citi Habitats. Bar and restaurant scene: A pedestrian plaza runs alongside the B/Q subway, where you’ll find a mix of old-school bars and restaurants and newer spots like Coffee Mob, your next-generation coffee shop with fancy espressos and tattooed baristas. The neighborhood also has Milk & Honey, a charming cafe serving homemade pastries and rustic American fare, as well as Sycamore Bar, a bourbon bar located in the back room of a flower shop. Other than the convenience factor of being close to both the G and F trains, this quiet neighborhood is tucked nicely between the southwest corner of Prospect Park and Greenwood Cemetery. 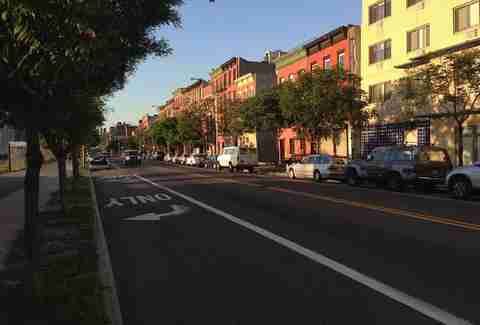 Easy access to the park without the Park Slope price tag? Yes, please! Windsor Terrace is also home to the Kensington Stables, where horses are kept when not being used for lessons in Prospect Park -- and Kemble notes that you’ll often see them trotting around the neighborhood. Take THAT, Williamsburg! Bar and restaurant scene: The brunch game is strong in Windsor Terrace, especially with neighborhood staple Krupa Grocery. And if you sleep through brunch, fear not, as the restaurant serves breakfast all day long. Spend the rest of the afternoon at local watering hole The Adirondack, a small bar with an impressive beer list and hunting-lodge decor. 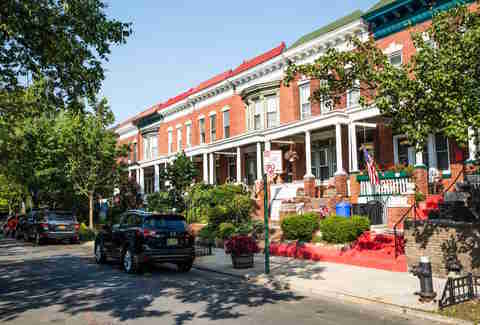 From the outset, this family-centric neighborhood may seem expensive, since it’s primarily dominated by brownstones, some of which are single-family homes that have been in the family for five generations. That and it sits smack dab between some of Brooklyn’s most expensive neighborhoods. 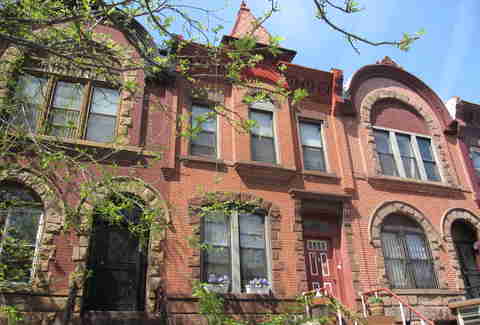 But Clinton Hill also offers affordable one-bedrooms in several apartment buildings along Washington Ave, from Flushing Ave down to Fulton St, and more off Clinton Ave near Dekalb Ave and on Cumberland St down by Fort Greene Park. Bar and restaurant scene: Come weekend mornings, you won’t go hungry or thirsty in Clinton Hill thanks to countless boozy brunch options. The ones for you to know are Rustik Tavern, Belli Osteria, and Los Pollitos III. Get your pizza on at Speedy Romeo, arguably one of the best pizza places in the city. Why Do We Continue to Ignore Staten Island? An interesting neighborhood where die-hard old timers seem to mix harmoniously with the throngs of young bloods that have sprung onto the scene, this largely residential community, commonly known as Bed-Stuy, has remained somewhat under-the-radar while neighborhoods around it, like Crown Heights and Bushwick, have blown up. 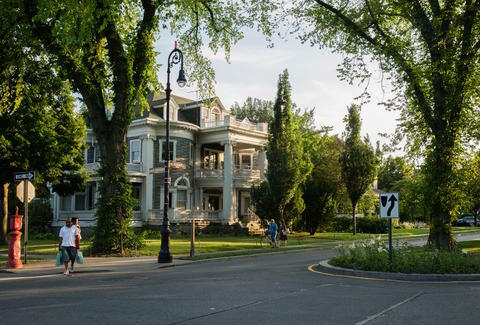 It’s packed with architectural gems, community gardens, mom-and-pop businesses, and community gardens. Bar and restaurant scene: You’lll be hard-pressed to find better wood-fired pizza than at Saraghina. And then there’s neighborhood favorite Peaches that doles soul-food classics like fried chicken. Don’t miss Casablanca Cocktail Lounge, a corner bar that has gone through incarnation after incarnation throughout the years, always with the same name, and always remaining a neighborhood staple (it now serves crafty cocktails while DJs spin on weekends. Very Brooklyn). Umm...where? Exactly. If you’re pulling up your Google Maps, we’ll save you the trouble. If you’re in Cobble Hill, head straight in the direction of the water. You’ll hit the BQE, but after you cross the overpass, you’ll find yourself in this little-known neighborhood known as the Columbia St Waterfront District. Bar and restaurant scene: With popular dining destinations Cobble Hill and Carroll Gardens right next door, you won’t have a tough time finding a place to eat or drink nearby. But there are several notable restaurants even closer to home, including Andy Ricker’s terrific Thai spot Pok Pok and newcomer Carla Hall’s Southern Kitchen. And for stunning views of the Manhattan skyline, you can’t beat the roof deck at the Mexican-themed Alma. If you want to see Brooklyn as it was in its 1960s and ‘70s heyday, Sheepshead Bay is the neighborhood to know. 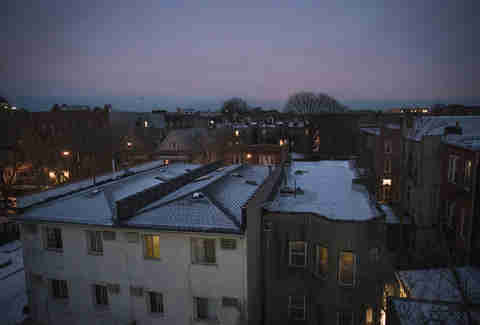 It’s an area packed with old-timers, just across from Brighton Beach, and surrounded by Gravesend and Marine Park. “We have great access to public transportation, specifically the B and Q trains. 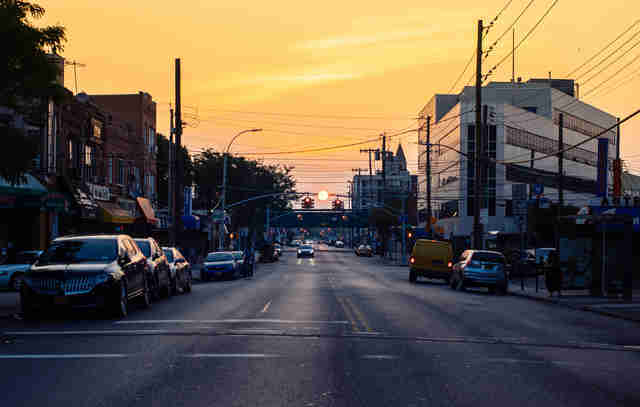 It’s a close-knit community with great restaurants and a neighborhood feel,” says Natalie Pigoulevskey, a real estate agent with Compass and also a resident of Sheepshead Bay. Bar and restaurant scene: You’re going old-school if you’re going out in Sheepshead Bay, definitely the least “scene-y” neighborhood on this list. But sometimes that’s even better. The neighborhood is home to iconic NYC deli Jay and Lloyd’s Kosher Deli, which was featured on Anthony Bourdain’s No Reservations. If you’re into Uzbek food (and who isn’t? ), you’ll want to try the dishes over at Nargis Cafe. Or if you want to get really crazy and try Uzbek-Korean fusion, check out Cafe At Your Mother-In-Law. Meagan Drillinger is a contributing writer for Thrillist. She does not live in Brooklyn. Follow her on Instagram, Facebook, Twitter, and Snapchat at @drillinjourneys.